Mobile-first indexing is well underway at Google. Since mobile has become a more widely used platform to perform searches, Google will now utilize the mobile version of the website when it indexes and ranks pages. As a result, we expect to see search engine rankings drop for websites that are not well optimized for mobile. If we developed a responsive website for you within the last five years AND you have been subscribing to Ongoing Support (which includes version, theme and plug-in updates), then your website is already optimized for mobile. If your website is more than five years old OR you have not been subscribing to Ongoing Support, please contact us for a complimentary mobile review. 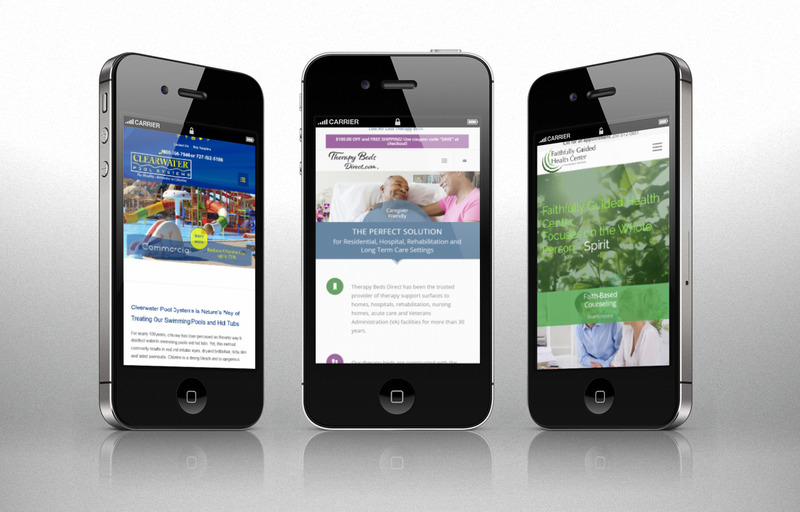 If we did not build your website, please contact us for a complimentary mobile review. Google evaluates all desktop and mobile content to determine mobile friendliness. We have and will continue to place great importance on the mobile User Experience (UX) as it significantly affects the indexing and ranking of websites. Sometimes when we develop a responsive website, a client will ask us to organize content and/or navigation in a way that adversely affects the responsiveness of their site. When such a request is made, we do inform the client of the negative impact their suggestion(s) may have on the mobile optimization of their website. Please keep in mind that since Google has implemented mobile-first indexing, it will be now be crucial for websites to deliver an optimal mobile UX. If you've received a notification from Google about your website's mobile-first indexing, forward the notice to us for a review. Have questions or would like a complimentary mobile review of your website? Send us an e-mail. We’re here to help!